If you have ever taken an ocean cruise, and are considering taking that trip on the Danube or any of the other river cruises, I think it might help you to know some of the key differences between ocean and river. I have laid out 8 points that I think make river cruising a much better vacation experience. Take a look and see if you agree. Today’s newer ocean cruise ships typically have a guest capacity over 2,000 guests on average, though that depends on the cruise line. Contrast that with a river cruise boat that averages between 120-180 guests. That makes a huge difference when you consider the logistics of getting guests on and off the ship in ports of call. I’ve been on some of the biggest ships in the world and no matter how organized the cruise line is, simple math tells you that getting 4,000 people over the gangways and onto the ship instead of 180 will take more time. For smaller ocean cruise ships, this might not be true. Our experience on the Paul Gauguin was the perfect example of small ship cruising, with only 280 guests on board. But other factors, as you’ll see, also play a role in your time in the destinations you want to see. While cruising through the main rivers of Europe or most other river cruise destinations, you’ll find that when the ship is docked in port, you are a few steps away from the city or town center. Conversely, on an ocean cruise typically docks you are away from the city center and need a taxi or other form of transportation to get to where you want to go. This time can add up and if you’re looking to get as much of the destination experience as you can, you won’t have to waste time riding somewhere when you’re on a river cruise. In today’s connected world, it’s hard to imagine not being able to use your smart phone to find out anything or to connect to social media. On a river cruise you can enjoy free wifi so you can send those selfies off without having to wait till you get back home. On most ocean cruises, wifi is something you have to pay for by the minute, which can add up. 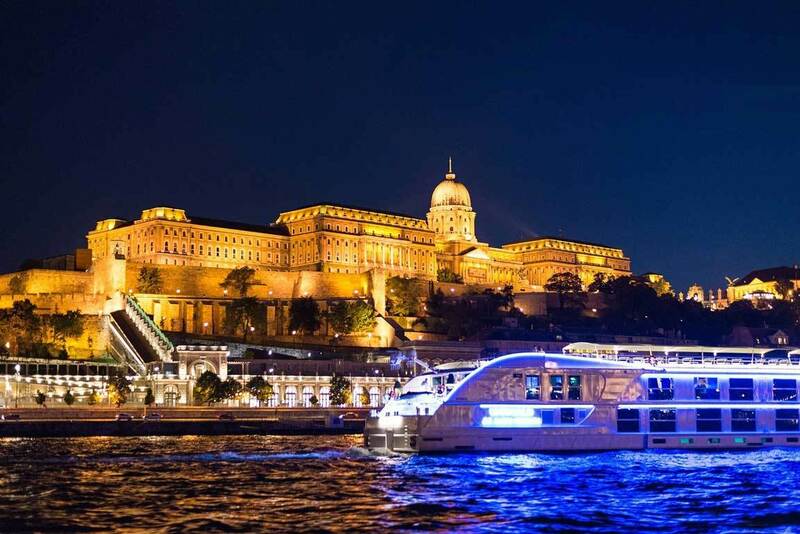 When you get to your ports of call on your river cruise, you’ll typically have at least one tour that is included with the overall price of the cruise. Not so with ocean cruises. While you might not want to go on the included tour (there are typically multiple other options available for a nominal fee), it’s nice to not feel nickel and dimed by wanting to see the main attraction of where you are. When you cruise with the companies like Viking, AMA Waterways, Avalon, or Uniworld, you’ll find that the staff is not trying to sell you anything extra. You won’t see the typical mixology class or be pushed to buy that spa treatment, unless you go searching for it. If you are wanting to relax on your vacation, why pay to have someone to be selling you something you might not want. While you enjoy gourmet lunch and dinner onboard, you can have a nice glass of wine or a frosty glass of beer without paying extra on most river cruises. If you are all about your soda and not so much the alcohol, that’s included too. You would have to buy a drink package or your drinks a la carte if you want to enjoy your drink with your meal on an ocean cruise. Since, on a river cruise, you’re not sailing on the open ocean, you never leave sight of land. This can offer a totally different view of the country side that you wouldn’t get to see otherwise. While being out of sight of land is great on an ocean cruise, it is a nice change to be able to view the picturesque country side of Bordeaux or Holland right from your balcony. You’ll enjoy a more authentic experience in the cities and towns on a river cruise. For the most part, they have not been “American-ized” like the ports of call in the Caribbean that most ocean cruises visit. That means you’ll get the chance to go shopping with the ship’s chef through the local market or enjoy your walk through the small cobblestone streets, living the history. After all, the reason to go on a river cruise is to experience the destinations. Do you agree with all of this? 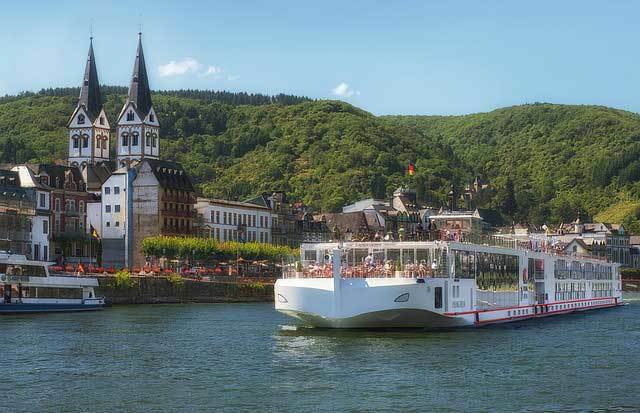 Leave us a comment and let us know what makes river cruising the best vacation for you. If you want to find out more on how to reserve your river cruise vacation, contact us here.